Looking to enhance your communication skills in the workplace and home? 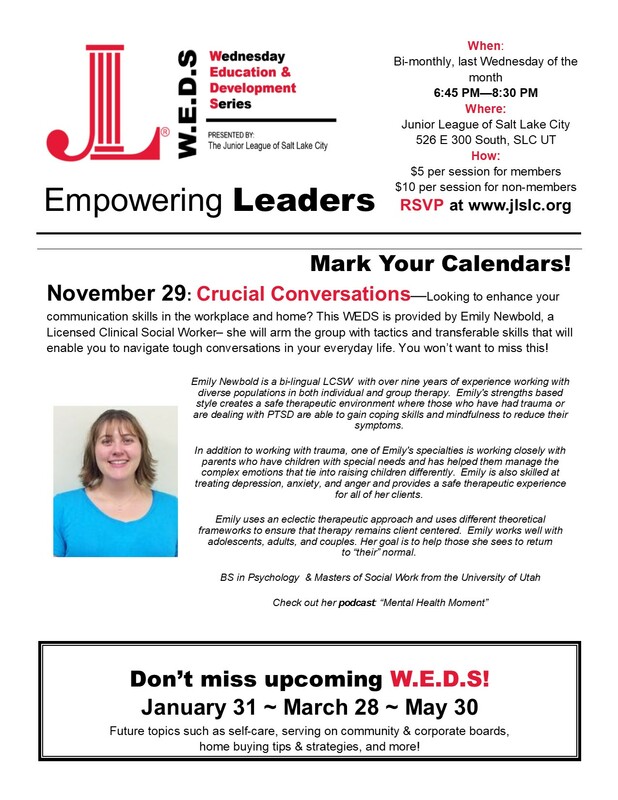 This WEDS is provided by Emily Newbold, a Licensed Clinical Social Worker– she will arm the group with tactics and transferable skills that will enable you to navigate tough conversations in your everyday life. You won’t want to miss this! Non-Member cost is just $10.00 per person!